NEW! 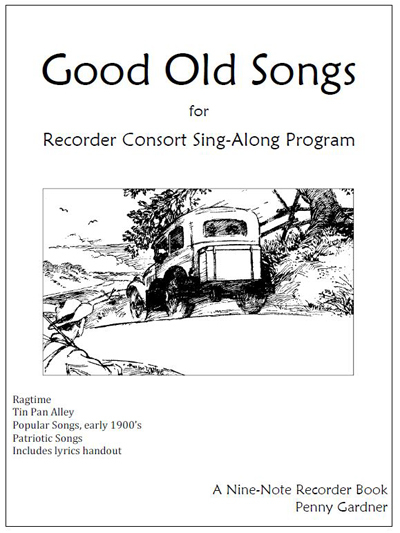 Finally, here is a collection of recorder trios and quartets that will appeal to senior citizens and residents of nursing homes. These twenty songs, placed in a logical and pleasing order, make a ready-to-play program. These tunes, with the double-sided lyrics handout, will have senior citizens tapping their toes and singing with gusto. Order this printable e-book for only $5. That entitles you to print one copy. Please do not share the music or the PDF. Additional copies may be purchased for $5. Or purchase the rights to print up to 10 copies for only $40.